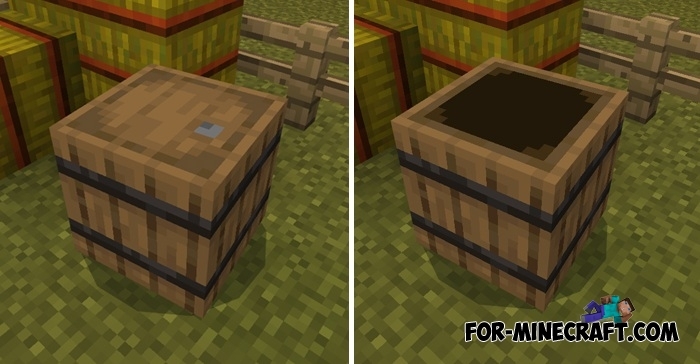 Probably you have already seen new barrels, but so far they have no functionality and look more like a decorative item for your farm or cellar. But how to do without this wonderful object in everyday life? 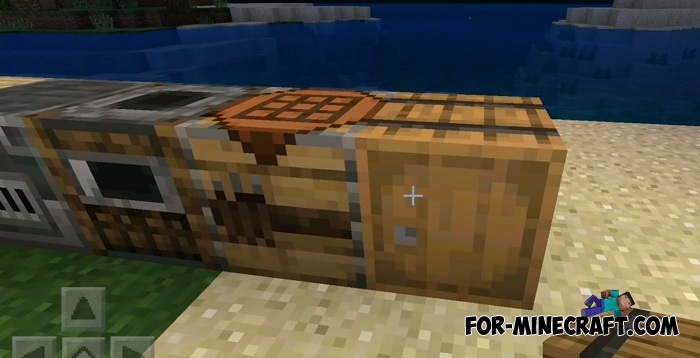 The Barrels addon adds exactly the same barrels to MCPE but with some limitations unlike the original ones. How to get and how to use the barrels? 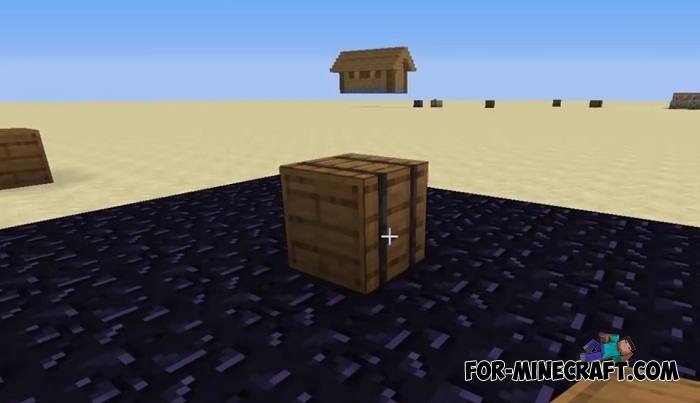 Barrels spawn throughout the world and to get them here and now you will need to open creative inventory. Take a new barrel from there and place it in the right place and then use a wooden stick to open this or that barrel. As you may have guessed, barrels in the Barrels addon can store all liquids except lava. For lava, you will need a cauldron that is officially added to Minecraft PE 1.9 and will soon be fully available in the release version. All liquids poured into the barrels are displayed and you will never confuse the barrels with each other. According to the characteristics, the barrels can be filled with the help of mechanisms, but so far there is only one possibility to do this. Take a bucket of liquid and pour it into a barrel or vice versa. How to install the Barrels addon?